Alan Scott Haft provides the first-hand testimony of his father, Harry Haft, a holocaust victim with a singular story of endurance, desperation, and unrequited love. Harry Haft was a sixteen-year-old Polish Jew when he entered a concentration camp in 1944. Forced to fight other Jews in bare-knuckle bouts for the perverse entertainment of SS officers, Harry quickly learned that his own survival depended on his ability to fight and win. Haft details the inhumanity of the ""sport"" in which he must perform in brutal contests for the officers. Ultimately escaping the camp, Haft's experience left him an embittered and pugnacious young man. Determined to find freedom, Haft traveled to America and began a career as a professional boxer, quickly finding success using his sharp instincts and fierce confidence. In a historic battle, Haft fights in a match with Rocky Marciano, the future undefeated heavy-weight champion of the world. Haft's boxing career takes him into the world of such boxing legends as Rocky Graziano, Roland La Starza, and Artie Levine, and he reveals new details about the rampant corruption at all levels of the sport. In sharp contrast to Elie Wiesel's scholarly, pious protagonist in ""Night"", Harry Haft is an embattled survivor, challenging the reader's capacity to understand suffering and find compassion for an antihero whose will to survive threatens his own humanity. Haft's account, at once dispassionate and deeply absorbing, is an extraordinary story and an invaluable contribution to Holocaust literature. "The riveting and tragic story of Harry Haft should be, indeed, must be told, for Holocaust narratives have the mandate to provide a lesson for generations to come. 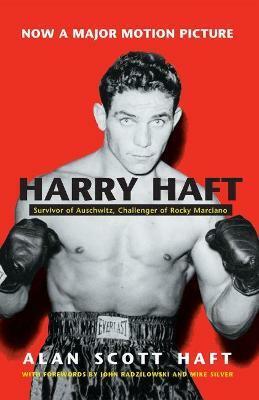 I might go even so far as to state that the Harry Haft story is what Hollywood movies are made of." - George Eisen, author of Ethnicity and Sport in North American History and Culture"
Alan Scott Haft is the eldest son of Harry Haft. He graduated from Queens College and received his J.D. from University of Miami Law School in 1978. He lives in Albuquerque, New Mexico, with his wife, Gail, and two daughters, Hartley and Jamie.